A zephyr full of rich, tantalizing smells slips over me as I open the door to Dark Side Chocolates. This little shop in Cumberland is home to some of the finest chocolates in the world. 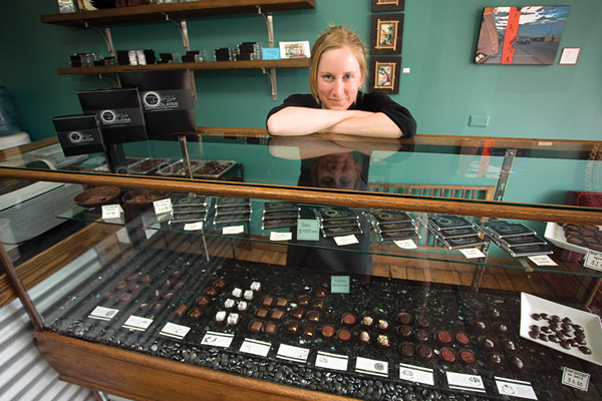 Jan Peavoy, owner and chocolate artisan, infuses each truffle with flavor, history and passion.